Where is the stone pig in Fortnite? It’s not exactly a question we get everyday, we’ll admit, but we’ll try our best to answer it. We’re joshing, of course: a massive stone slab of pork has somehow found its way onto the arena of Epic’s peerless battle royale game, and you need to go up to him and say, err, hi, we suppose. Tracking down the Fortnite stone pig is only part of one of your week 6 challenges, however. You still have another couple of gargantuan animals stranded on the map to visit before you can properly call this quest complete and enjoy all the new rewards you’ll get from progressing your season 8 Battle Pass. So let’s get crackling, sorry cracking, on with the Fortnite stone pig part of this week 6 task. 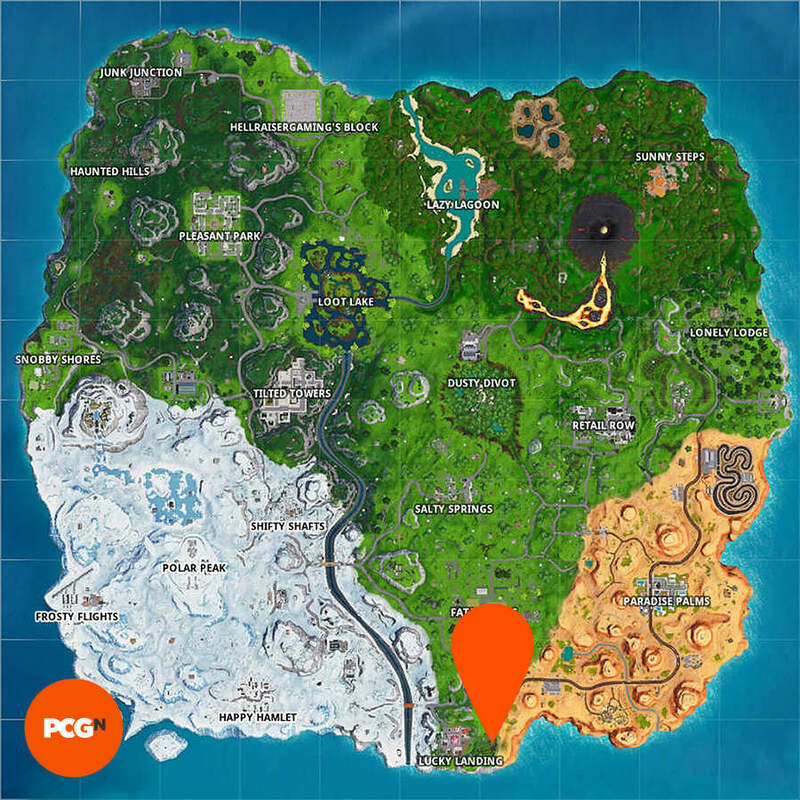 You’ll be heading in a southerly direction towards Lucky Landing to hopefully prevent our new favourite pet from being turned into an especially tough portion of sweet and sour pork. Or, you could just go there, tick it off, and get on with the game, it’s really up to you. Anyway, enough jibber jabber, here’s where to find the Fortnite stone pig. This piggy point of interest can be just east of Lucky Landing. If you’ve ventured over to the desert biome, you’ve gone too far. When diving down from the Battle Bus you should see the squat porker, but it can be spotted on top of a hill with a zigzagging path leading up to it. If you’re still unsure, we’ve made a map below to make completing this part of the challenge even easier for you. As we’ve mentioned, this is only one of three animals you need to find to finish this task, so we’ve also made a video guide above to take you through each stage. 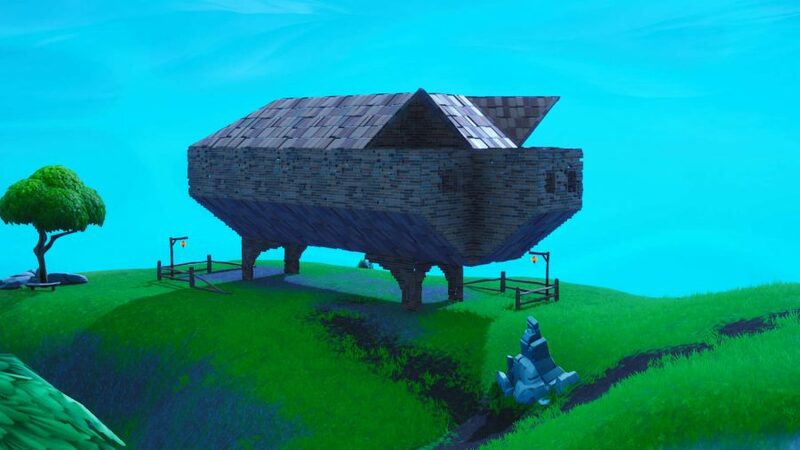 And that’s it, there’s where you can find the stone pig in Fortnite. There are even more juicy challenges we can help you out with this week, so make sure you reach the five Fortnite highest elevations, and search where the knife points on the treasure map loading screen in Fortnite. And, with that all done, make sure you share all your loot equally with your team, you don’t want to be a pig, now do you?